When looking at creating a real estate mobile app, considering what clients want is crucial. 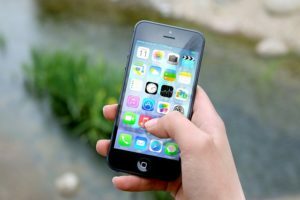 There are several features that are important when deciding on a real estate app for an agent or broker. As a real estate professional, taking into account what will make researching the perfect home easier for your potential clients should be of the utmost importance. Everyone likes to be able to make something their own. With a mobile app, customization is a necessity for clients. As a real estate agent or broke, a “Plain Jane” interface isn’t going to make an app standout in the market. With a mobile app courtesy of SnApp Real Estate, we do the customizing. Let’s face it, nowadays, technology is adept at finding us anywhere in the world. Why shouldn’t finding a client’s next home be that easy? A map feature within a mobile real estate app makes home searching for clients a walk in the park. Some of the tools that allow this feature to be so useful include finding the user’s current location in relation to available properties, as well as being able to access directions from current locations. Clients experience more efficient property searching in a real estate app via a map feature. The bread and butter of real estate apps is the home listings option. Viewing available properties in list format makes house hunting much more efficient for clients. The easy-to-use interface with an app makes it an effective tool. In tandem with the listing option, potential clients want to be able to save their favorite homes in a list they can refer back to later. Clients like “favoriting” properties and checking the status of the home. Real estate apps like Realtor.com and Zillow have tapped into this feature, allowing customers to save their favorite properties by tapping a heart to add it to a list. The caveat of “favoriting” a property is the client must be registered to save a property. For real estate agents and brokers, this is how leads are generated and how more features become accessible to the client. While this feature isn’t necessarily a benefit for the client, it is definitely one for agents and brokers. Adding to a clientele list is one of the main goals of having a real estate mobile app. And the main way most real estate apps help agents and brokers generate leads is via the “favorite” feature. As discussed previously, in order to “favorite” properties, the client must register inside the app, which then allows him or her to contact an agent of choice with just one click of a button. This entry was posted in apps for real estate agents, Mobile Apps for Real Estate Agents, Mobile apps for real estate agents and brokers, real estate apps and tagged apps for real estate agents, mobile apps for real estate agents, Mobile apps for real estate agents and brokers, real estate apps. Bookmark the permalink. ← Mobile Apps Vs. Mobile Web…What’s the Deal?